Happy Halloween to all my bloggy friends! I've just been BOO'd by Shannon. Go to as many of your blog buddies as you want and tell them they have been BOO'd! Have them pick up their treat (this picture) and add it to their blog... be sure to link the person who BOO'd you! Put the picture in your sidebar so others know you have been BOO'd! Now, go BOO your friends! And to all of you out there who actually get to participate in Halloween tonight, have an extra special fun time. And most importantly, stay safe! In case you missed an earlier post, I will mention to you again, I haven't driven a car since June 14 of this year. I got behind the wheel today. It felt strangely invigorating. It felt good. And I felt free. Until I drove 200 meters out of the parking garage and turned right out onto the street. Pedestrians, everywhere, everywhere, like giant ants. Not even walking in any kind of pattern. Zigging and zagging every which way, and they with their own agenda behaving as if my main course is to avoid them. And unlike ants, I am unable to just drive right over the top of them. They dart out from nowhere. They aren't watching where they are going. No wonder people who drive cars tend to get a little... angry. Disgruntled. I cautiously stepped on my brake as I waited for what felt like 5 minutes on the parade of neighbors on their way to work, school, home, and to the store. And then the dogs, oh the dogs. I can't even see them when they are on their leashes, don't people even care? I might drive over muffy's head! I haven't even made it to the stop light at the end of my street. Gah! And when I do finally arrive, there is a rather large coca-cola delivery truck double parked. Because that's what they do here, they double park. Good heaven on earth, will I ever make it off this street? Will I accidentally drive off the road? Will I hit these self absorbed human beings as they meander between the cars? Will my diplomatic immunity save me? Really? Oh my. The stress. When the light turned green, one normally might think that this was a clear and evident sign to proceed onward. And for some it is, but for those of us sharing the desire to make a right hand turn, FAT CHANCE! You must once again WAIT on those beloved, annoying and unending stream of pedestrians. They criss and they cross and they walk really really slow. They taunt you as they fidget with their cell phones, and the light turns yellow and you still haven't moved one single inch. Good Lord, please help me. I can still see my building and I am not off the street, will I even make it to my destination? I turn. For a fraction of a second I am able to concentrate on the bad music playing on my radio. I change the station. Madonna, in English, oh, there's a change. So I listen, I almost sing along. Almost, but my attention is rapidly diverted to the bus who is coming into my lane. It is ever apparent that he wants to be here too. Only, there is no room for both my car and this HUGE bus. I cringe, I look to my left, a line of cars. I look in front, oh duh, more cars. And then I just squeeze over a tiny bit. A very tiny bit. The bus didn't budge, nor did I. But my heart was pounding, as he was making his presence known. Why oh why am I even here? What was I driving for? These people are slightly C-R-A-Z-Y! Oh thank heavens, the person in front of me speeds up, and I gun it, thus allowing me to pull safely ahead of the bus. Only moments later, the bus takes over the lane fully. ! @#$%@ Yah. He was. And how dare he. Doesn't he know that this is my first time driving in like months? And my first time driving in Santiago, like, EVER?? I'm a little sensitive right now. Geesh. OK, so I'm driving. And there is a car in the middle lane of the 3 lanes that exist on this road I am driving on. He (or she) is stopped. Nice, very nice. I think to myself as I quickly maneuver to the left lane to drive around this person. And then quickly notice that this left lane that I just entered into is a lane that turns only left. Goodness gracious. Really? You honestly can't make left hand turns in Santiago, well not very frequently, and they are few and far in between. So I quickly drove back into my lane and kept on course. More buses, and more praying on my part that the big ones don't decide to take over my lane again. Or worse, hit me in the process, because they just don't care, or because they can, or they assume that I will move. I assume they will stop, so someone is going to lose. Anyway. I must not forget the motorcycle that appeared out of nowhere. And if I rolled my window down, I could probably reach into his pants pocket and pull out his wallet. Or scratch his back or something weird like that. I could see the dirt in his fingernails, and his elbow was touching my side view mirror. How nice, we could chat. Or not. He probably speaks Spanish. Duh. It could be small chat. Yo quiero dormir. Y tengo hambre. I laugh to myself. And then I worry for the motorcycle people who creep up on unsuspecting motorists who don't see them, who are unaware, like I was only moments prior, and then get hit. They get hit because the motorist in the car was not expecting that person to be so close, or to be weaving through the cars, and then decides to change lanes. I honestly never saw him before he came up. I'm sure that's what they all say. I finally made it to the embassy. I went to get my mail. And it felt good to have braved the streets, well sort of. I feel like I am not cut out for this hard driving. Maybe not yet. I'd rather go back to Miami, and drive down I95. If you haven't ever done that, well it's really something. And they usually drive pretty fast there. Pedestrians beware. I won't go into my drive home, it was a little bit more of the same. I will tell you also, that I didn't appreciate the guy trying to strong arm me into buying his bag of strawberries. I guess he didn't get the memo not to scare your customers. But then again, I must keep in mind that I am in South America. And the guy is trying to make a peso or two. I suppose I can't fault him there. This country is a bit harder than I'm used to. I miss Dillards. And Barnes n Noble. I need a mocha frapuccino something fierce. Let's see, I have random things to talk about today. Eddie woke me up at 2 a.m. last night when he went to the bathroom. Honestly I am totally stoked about his realization that he has to go to the bathroom and getting himself up in the middle of the night, but this is getting ridiculous. He is now getting up every single night to go pee. He reminds me of a pregnant woman. Geesh. And I make him go potty before he goes to bed. He drinks milk a little while before he goes to bed. I don't see why he can't make it through the night. ?? So I'm tired today. A little bit. Dh went on tdy. (For my non military peeps out there, he went away for work.) That bites. In a big way. You never ever get used to having your loved one away from you. You just don't. This is a video I took of my kids the other night. They are singing the Barney, "I love you" song. They like that big ole purple dinosaur. What can I say? It makes them happy. And who I am to argue? Also, we are in full swing potty training mode over here. Still. The good news is that I haven't bought diapers in quite a while. Eddie is sleeping in underwear. And Alexa sleeps in a diaper at night and for naps. Both the kids have had random potty successes and are always peeing on the potty. (Alexa is getting there, with few accidents these days.) Our most recent poopy success for Eddie has earned him this "man toy" as a reward for doing his business in the proper place (an ongoing issue for us). It was actually a gift from his Uncle. But it works in my favor. So, it's all good. Anyway, the kids have been thrilled with it, or him rather. I found this a little while ago. I had to run and get my camera, like immediately. This is just too much. I might even have to go to the store and buy another "man toy" if my daughter starts pooping all the time on the potty too. Could I be so lucky? One can hope, right? Shannon at Welcome to the Nuthouse! Debbie at This is the Life. These ladies are just too much fun to read. Go on over and check them out, but be careful or you will be hooked too! I also want to share this blog love with a new blogger. I've been raving about blogging to her, and she is one of my loyal readers. Although she just jumped into it the other day, I wanted her to know I'll be here to support her through her blogging journey. Oh yeah, and she's my sister. So take a minute to say hi, and give her a warm welcome. Here's Vicki over at The Ramblings of Victoria. That's all I've got for today. And you probably wouldn't believe me if I told you how long it took me to construct this post. I uploaded the wrong video to you tube, then the kids took turns getting hurt, and then needed lunch. What with potty time, and then getting ready for preschool, it's amazing that I actually did finish. I need a nap. On Saturday, dh took us to the coastal city of Vina del Mar. (Vineyard of the Sea) I took over 170 pictures. Really. It wasn't a very pretty day out, mostly overcast, and heavily foggy on the drive down there. We drove through several tunnels and saw lots of vineyards along the way. It was 80 miles from our home to where we parked. So it wasn't a bad trip, and the kids took a nap. It could have been worse. But they actually behaved quite well in the car. Here's me. There was a park area with trees and a playground that we stopped in just after lunch. The kids had a blast. The people there were renting out go-carts and bikes for kids to ride on. They even had horses too. I even took 2 pictures of some style conscious Chileans for you to see. Here, this young lady is showing off her love for the color yellow. Can someone tell me what's going on with all of these wires? Is this safe? This is Castillo Wulffe. (Wulffe Castle) It is a very popular museum and national monument. It was built in 1880 by Gustavo Adolfo Wulffe Mowle. It has a variety a seafaring items. Unfortunately it was closed during our visit there. So we didn't get a chance to explore. Now this is where the trip got a little hairy. And by that, I mean a touch less than pleasant. We followed this sign. We felt that it was pretty straight forward. Unfortunately, it took us straight up the side of the mountain. We were in the very heart of the little homes you see in the pictures. And the mountain has a very unforgiving way of snaking this way, and that. The roads were in poor repair, and the ride was more than a little bumpy. We lost sight of where exactly any main roads might have been, and instead we were right on a narrow path winding upwards. It made me feel sick. And I wondered when we had gotten lost. But the sign was CLEAR, and said Santiago, was in fact this way. Right? Right? And then it happened. We veered a little to the left and somehow started going back down. So I knew that this was wrong. In an attempt to turn the car around, my second born child began to vomit. Now, having recently had a child who vomited in the car, I was all too prepared. I had a small bucket under the seat. The only problem? While we were driving, I had a hard time getting turned around in my seat to assist. And my small child was not as cooperative with the bucket as I had hoped. She managed some in the bucket, and some on her. So we pulled over. On the side of the narrow shack lined street. And we were immediately accosted by one mangy and seriously emaciated canine. He stuck his nose everywhere he could think of, in search of food. I know we smelled good to him. And I bet he could smell the snacks just within our car. He begged. He pleaded, and I felt bad. But moreso for my daughter. So I pressed on in my duties. We cleaned her up and headed back to the point where we steered wrong. And this is a picture of a sign as you drive into Santiago. It sits on the outside of some of the worst neighborhoods here. These homes are the true definitions of shack. It's hard to believe, but people actually do live this way. It's sad. 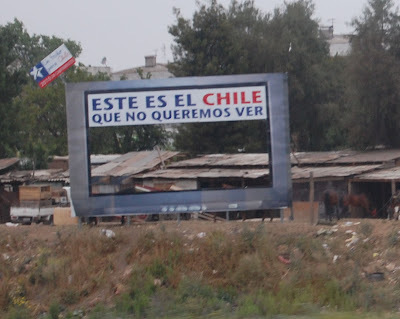 Translated, it means "This is the Chile that we don't want you to see." I don't blame them. But I'm not sure I'd want to construct a sign to publicize it either. OK. That's about it for our trip. We left around 1 pm, and were back with the kids bathed and in bed by 9 pm. So, for our first long drive with the kids (an hour and a half), it was a success. Vina del Mar is a lovely city on the beach. We had a good time. Help me pick something to wear. OK, you like the self portrait? My maid wasn't here yet to help me out. So this is just going to have to do. It's not the best, but you get the idea. Now, this one might work better. But I'm not sure of the shoes. Which look better?? She arrived just in time to take this pic. No head shot, I just woke up. Or do these shoes look a little too Ally Mcbeal? If you don't know who that is, or you don't remember her, be quiet and don't make me feel old. OK, just give me your honest opinion here. Thank you! We made it through the day without the need of an emesis basin (puke bucket). My poor darling had a few episodes yesterday without warning and landing a large and healthy portion of it in my hair and onto my bed comforter. (Thanks Mama smurf. Wink*Wink) There's nothing like trying to clean up vomit from the floor, while you are currently covered in vomit. The joys of motherhood I tell ya. This morning my sweet girl drank 3 good child sized cups of water. She ate some toast and 2 bites of egg. And then she passed out with half of her body on a chair in the living room. When I walked in to see her legs dangling off the edge, she almost looked like she was half standing. I thought about snapping a picture, but the mommy in me just felt so bad since she must have been super tired to fall asleep that way. I scooped her up and held her in my arms. She woke up and played like her usual energetic self. So I would say that today is a success. She's feeling better. Here is a video I shot a couple weeks ago. Just thought I'd share. I know my mom gets a smile when she sees my monkeys. So this is for you mom. We miss you! I'm afraid of heights, and an award! You know, I think I may have mentioned that before. In fact, I'm quite sure I did here. So can someone tell me why I purposely put myself in a situation where I feel like I'm going to pass out? Or fall down off the side of the mountain? Yesterday we went to Cerro San Cristobal. And you can ride cable cars up to the top to see the statue. Well, like I said earlier, I am scared of high places. I am. I don't know how or why this fear developed, it just did. Maybe I need to see a hyponotist or something. I don't know. But I did agree to go on this little excursion, and I know my dh called me out on it while in the cable car. He could see my face wrought with discomfort. He could also see my eyes as they didn't really stray too far from my son's face, who was sitting directly in front of me. You see, I'm OK sitting there. As long as I don't look down, I'm fine. I felt fine. Mostly. I was just acutely aware of our cable car dangling back and forth from a thin cable, I was thinking of what it might feel like to crash down to the earth. And I wondered how long it would take for paramedics to respond. For them to be called in the first place, and then drive through town, and up the side of the mountain . How long until they found our car amongst the trees. I wondered how bad we would be hurt. I felt fairly sure that we would all survive, but I still worried that we might fall. Yes. I know. I'm a bit off kilter. But hey. It's my irrational fear we are dealing with. And you see, by me even going, I am and was dealing with it. I wasn't letting the whole fear thing, rule me. So we went. It's not to say that I didn't have a few irrational thoughts in my head. I was even thankful that we were enclosed in the tomb of hot sticky air. For certainly I would have had a whole new set of fears about falling out of the seat and over the railing somehow. So like I was saying, dh called me out. He could see that I was not at my 100% comfort level. He said, "I know why you came here today." And I was all like, "Oh? You do, do you..." And then he said, "You don't even like this, you just did it so that you can take pictures for your blog." Busted. Well. I have no arguments there. I did it for my readers. (And for my mom.) As I'm certain she would appreciate the pictures. Look how stinkin' high we were! I'm so proud of me. I did it! I managed the whole trip unscathed. And last but not least, I received this award the other day from Patrice over at Not a Girl, Not Yet a Woman. 3. watching Grey's Anatomy, uniterrupted. 4. finding a good sale. 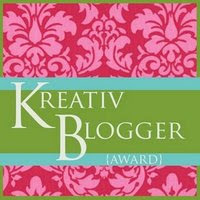 And I am going to share this super award with my friend Stephanie of Serenity Now! Serenity Now! I have enjoyed reading her blog very much. You see, she has a teenage daughter. And when I read it, I can see what life might be like to have a teenager in the house. (yikes!) Although I am nowhere near ready to even think about those kinds of things, I enjoy her stories. Hop on over and take a peek. She's super nice! The drive that wasn't meant to be. This morning when we woke up, we pretty much were decided that we were going to be taking the car for a spin. We have been without transportation for quite some time. So having just received the plates to the car, we were given a gift. Our freedom to explore this new city (that we have been living in for 4 months and 3 days). But still, a gift. On our first trip out, before ever leaving the apartment, I had a thought. Or maybe it was a conversation, in my head. So it went something like this, "Self? Yeah... kinda busy right now, what? I know you are cleaning a poopy child who did not use the toilet, and I can see that you were interrupted from trying to get her to sit on the potty because Eddie decided to pour his orange juice on the table on purpose... what are you getting at? I just wanted to say that, when you leave today, why don't you throw an extra set of clothes in the car for Eddie. You know, in case he poops or throws up or something. Huh? Oh OK. But Eddie hasn't really done anything like that in a while. I'm just sayin'. OK. Yeah. Sure." So we left to take our drive. I forgot the clothes for Eddie. Not to mention that when we turned out onto a main drive, I realized that I had forgotten my camera as well. So we made our leisurely drive a bit shorter than it would have been, because we wanted to get some pictures. We turned back and went to the grocery store to get some food. After the store, we headed home to unload and make some lunch. We hung out here for a while and let the kids play. But once again, we were just itching to drive around. Actually, dh was itching, I was just wanting to get some pictures to share on my blog. We set out again. Alexa fell asleep in the car, and that was just nice. It was peaceful. Quiet even. Wait a minute. That should have been a warning. Even with one child passed out sleeping, there was sure to be noise coming out of the other one. That still did not make an impression. I was too busy snapping pictures to really pay any attention to the subtlety of that little clue. In fact, before we ever made it to our destination, we only heard one telltale sign that something was wrong. And it was my son's signature sound he makes right before he vomits. Oh yes. If you have a child who does this, then you know what I'm talking about. You get like 10-15 seconds notice, tops, before it happens. And then my little guy let it go. I tell my dh, "pull over!" and then, "find a McDonald's", like I'm in the freakin' United States. I was just thinking in the moment. I looked at my dh, and he looked at me. Oh. 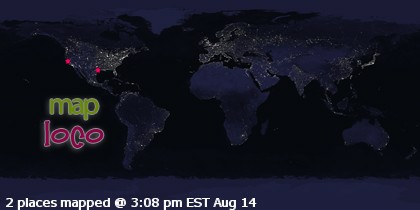 I'm not in the United States. There are no McDonald's "free-standing" restaurants here. Not in the sense that I was looking for, and there wasn't anything of the equivalent either. Ugh!!!! I only had two diapers and not a single stitch of clothing. I did not listen to me. I didn't put a change of clothes in the car like I thought of before, I just didn't. And now I had this pukey kid sitting in the backseat stinking up the car. UGH!! So we basically made a U-turn and headed straight for home. We were in a really old part of town, with terribly old buildings and lots of old bums and a mountain with really rickety old houses sitting on top of each other. There wasn't one single clear or safe place I would even feel comfortable about pulling over to try to clean my son off. Besides, we had nothing anyway to clean him up with. We drove home with the windows down. Oh and one more funny thing that my child has said. Once we arrived home, Eddie looked down into his lap. He sighed a big hearty sigh. And then he said, "Oh man. How did I throw up on myself?" Even though our trip was just messed up completely, I did manage to snap a few shots during our drive through the city. Going into the tunnel. I have no idea how long it is, but it seems to go on forever. Cerro San Cristobal. You can read a little about it here. Not a really good picture, but these are the houses that are on the side of the hill. Some of them appear to be stacked on top of one another. The United States Embassy. It's the short rounded building. See what's in my purse, and new pics! Wasn't I not feeling well? I crown myself Amazing Mommy. It's Saturday, do you know where your kitty is?? 6 more things about me!